Walk into the large living room and look at the 12 feet of disappearing sliding doors to a fabulous view of the pool and expansive scenery of the golf course. The screened lanai is extra large to allow for additional chairs and tables, perfect to relax after a long day or have friends over for drinks and conversation. This is a magnificent home with spectacular views, and to make you dreams come true even more – golf is included. This home is the largest model available in Cedar Hammock. Inside you’ll walk into pure ecstasy, the perfect place to never want to leave. The kitchen is every chef’s dream with high-end cabinets, stainless appliances and lots of granite counter space. Adjacent to the kitchen is a bright eating area that features a mitered glass nook looking out to the pool. The kitchen opens onto the family room that has corner sliders that bring the outside in. The master bedroom is oversized allowing for an additional seating area. Dual walk-in closets. The three car oversized side load garage is also an excellent feature. Whether it is tile flooring, high ceilings, or granite counters, this home offers it all in addition to a warm and inviting décor. 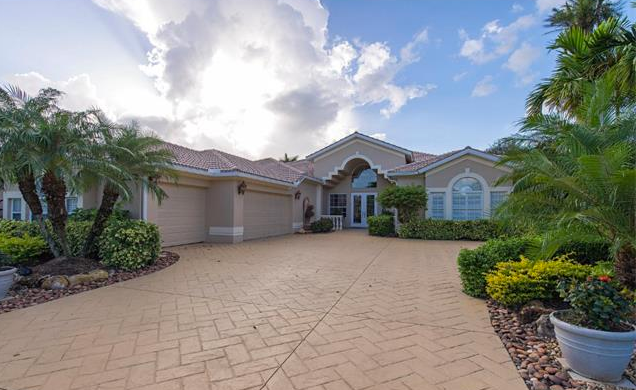 This property is the perfect representation of Cedar Hammock real estate’s reputation – beautifully manicured, palms peppered throughout, and exquisite exteriors – just a few reasons why this is one of the premier Naples communities. 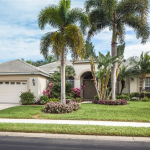 Cedar Hammock is a private, 24-hour guard-gated and bundled golf and country club community conveniently located just off of Davis Boulevard in south Naples between Santa Barbara Boulevard and Radio Road. 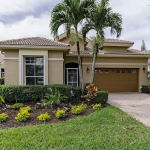 In an ideal location in South Naples, this beautiful community is a picturesque haven for golf and nature lovers alike. Easy access to high-end shopping, fine dining, casual restaurants, excellent hospitals, and the airport make for a convenient lifestyle that many can’t match up to, and the surrounding landscape only adds to the charm Cedar Hammock real estate displays. 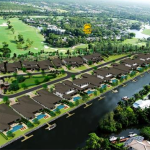 If golf is your passion, Cedar Hammock is your dream community. The on-site, championship golf course is a stunning example of architectural creativity and cleverness, and it’s no wonder why – it was created by course designers Jed Azinger and Gordon Lewis. The course provides an experience that is unique for players of all ages and skill levels – you may play here frequently, but you’ll never be playing the same course twice. 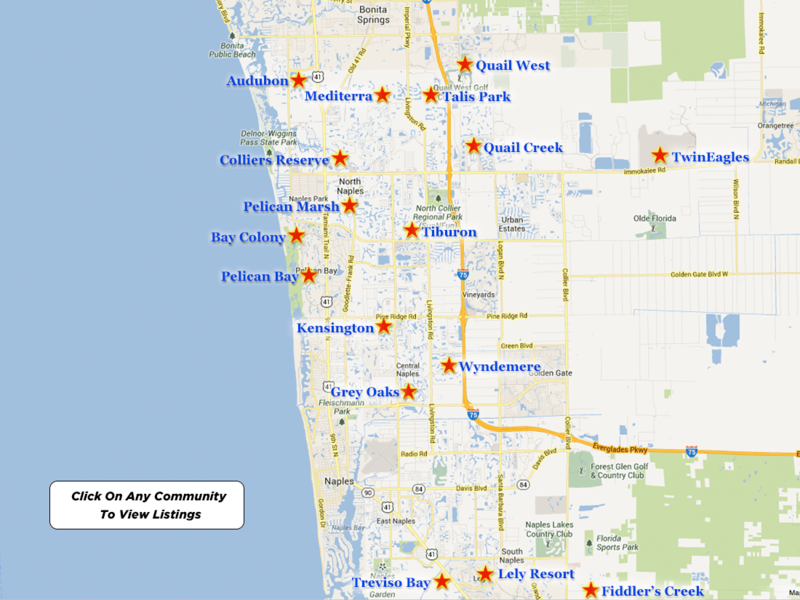 Amenities are numerous when purchasing a residence in Cedar Hammock Naples. Amenities include tennis courts, four swimming pools, and a 25,000 square foot clubhouse. The Cedar Hammock Country Club has a fitness center, restaurants, locker rooms, and pro-shop. 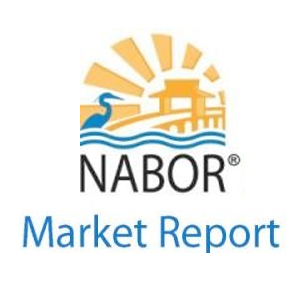 As Naples bundled golf communities go, Cedar Hammock Naples is a great choice. The development features many lakes, fountains and scenic vistas. Cedar Hammock real estate is a good value for golfers because facility membership comes with the purchase of every residence. For more information, please contact Corey Cabral and visit naplesluxurygolfrealestate.com.